This property is 11 minutes walk from the beach. 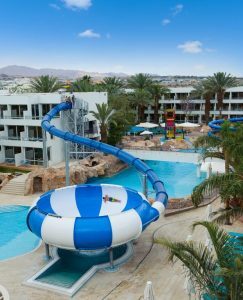 Leonardo Club Hotel Eilat is just a short walk from Eilat’s attractions and the beach. It has a swimming pool with 3 water slides. All rooms are air conditioned. Some offer views of the pool area, others overlook the garden. There is also a children’s club and a games room with video games and Playstations. 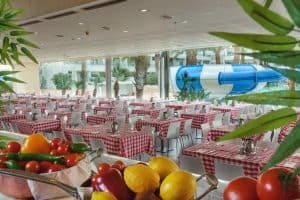 The Leonardo Club Hotel serves breakfast, lunch and dinner buffet. Hot and cold drinks, wine, beer and cocktails are free of charge in the hotel’s pizza bar near the pool. At 16:00 coffee and cakes are served.